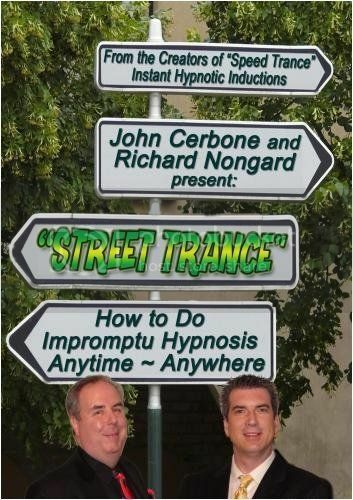 Street Trance: How to Do Impromptu Hypnosis is a DVD Project by Richard Nongard and John Cerbone, both who carry a lot of weight in this field. They are most known for their last best seller Speed Trance, which changed the way I use Instant and Rapid Inductions. For those who are not interested in street hypnosis you should still get this DVD because the stuff you learn in can be directly applied to your hypnosis practice or used when giving demoï¿½s and workshops on hypnosis.